Happy birthday, Mitchel telescope! 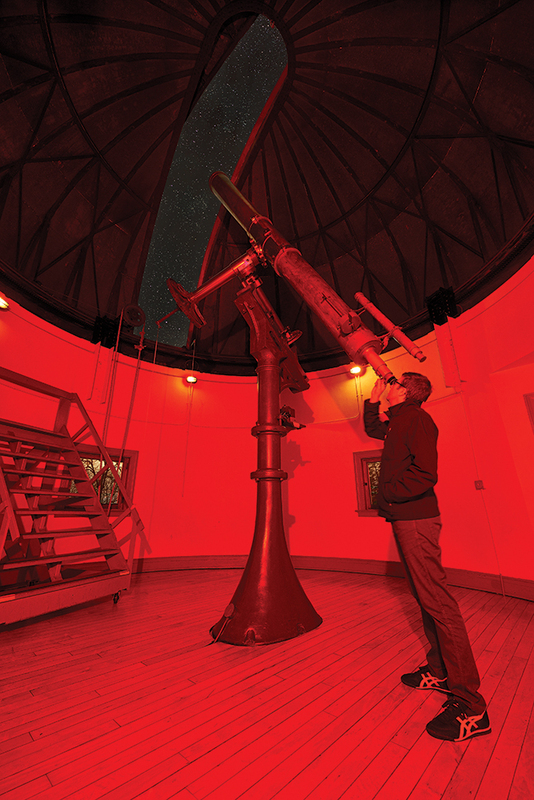 April 14, 1845 was “first light night” (the astronomical equivalent of a maiden voyage) for the handsome instrument that Ormsby MacKnight Mitchel, founder of the Cincinnati Observatory, purchased from the Merz und Mahler company of Munich. At 16 feet long, it was the third largest telescope in the world: Mitchel funded it by selling shares to scientifically-minded Cincinnatians.